Retribution has arrived, and with it a fairly large chunk of my Know Your Enemy articles have become outdated. It's going to be a while before I can write the updated versions - while I can EFT warrior to my heart's content, until the meta has stabilized a little bit I can't really say for sure how they're all going to be fit (I can have a reasonable guess, but I've never been a fan of going off theory alone). However, I can give you a quick run-down based on my initial observations. This post follows on from part 1, which covered the new frigates and destroyers, and will instead be focusing on the newly balanced cruisers as well as the (technically) non-combat ships that I missed out before - the exploration and mining frigates. Vexor - The Vexor is unusual in that it was originally a tier 2 cruiser whereas the other combat cruisers were all tier 3. This means that compared to its counterparts, the Vexor received a much larger buff (and it shows). As before, you'll get both shield gank Vexors and armour brawling setups, both of which should remain viable. The armour Vexor receives a straight upgrade, able to fit bigger guns and more tank/gank as well as either dual prop or a second web - even with a single damage mod you're looking at a really impressive 600dps damage output with a max-damage drone flight, which is among the best you'll find on a T1 cruiser. That brings me on to the shield Vexor. It's still a lot more fragile, but you have the option of making it a bit tougher using the extra mid if you want to. However, the amazing thing about this ship is the damage output - you're looking at almost 900dps before heat on a fairly non-special fit. Here, look for yourself. The low HP means that it's not actually a more powerful brawler than the armour variant (it's actually worse), but that kind of damage output makes this an incredible ship for a roaming T1 cruiser gank squad. The increased speed definitely doesn't hurt either, although the armour variant is still a little slow. A seriously powerful ship. Maller - Gone are the days of the Maller always being bait. Here instead are the days of the Maller possibly being even better bait, and possibly being a fairly awesome tank & gank platform. Increased fitting room means that anyone wanting to bait-fit the Maller now will be able to push it to well over 100k EHP without breaking a sweat, while a regular combat-fit Maller will still offer battlecruiser EHP with a similar damage output to the Rupture (350-400dps). It's still not a fast ship, but it's substantially faster than it used to be (about 1.2km/s with a T2 plate and trimarks). It's biggest weakness is capacitor, unsurprisingly so since it lost the laser cap-use bonus. You'll probably find cap boosters are pretty much mandatory on this ship much like the are on the Abaddon. My impression is a very powerful ship for close range armour gangs, but inflexible and so not well suited for solo. Moa - With a shiny new damage bonus and an extra mid, the new Moa should be a strong brawler. It can mount a decent tank for a shield cruiser (just how decent depends on whether you want a web or not) while having a very nice damage output of around 600dps - similar to the armour Vexor and higher than its traditional nemesis the armour Thorax. It's not as fast as the other shield cruisers, but it's faster than most armour ones which is a reasonable balance. I expect you'll see it mostly used as a blaster ship with the occasional rail variant thrown in, much like the Merlin which received the same treatment earlier this year. Rupture - Much like the Rifter, the Rupture has been knocked down from being simply the best, to being decent but flexible. It has actually been buffed, but not as much as its rivals. As an armour brawler, the Rupture is essentially the same as before except a little faster and with one less utility high slot (usually a small neut so no big deal) and one more mid slot (for extra tackle/EWAR or dual prop). In the new lineup, that puts it with middle-of-the-road HP and fairly low damage output comparable to the Maller's. Speed and a versatile weapon system are its main advantages, but I think we'll probably see the armour Rupture outclassed by most of its rivals. The shield Rupture fares better - again it's much the same as before, but faster (which is really useful for a kiting ship) and with an extra slot for tank (which was always the shield Rupture's biggest weakness. This is probably the niche that the Rupture will fall into, but it's not one that's unique - this is essentially the same space that the attack cruisers fill, so it's left with plenty of competition. Thorax - If you've ever complained that the Thorax would be great if you could just get into range, then Retribution is for you. The Thorax jumped from being a tier 3 brawler to an attack cruiser, which means it loses a little HP but gains a lot of speed. The armour Thorax is essentially just a faster version of its old self (about 1.6km/s) with an extra mid for whatever takes your fancy. 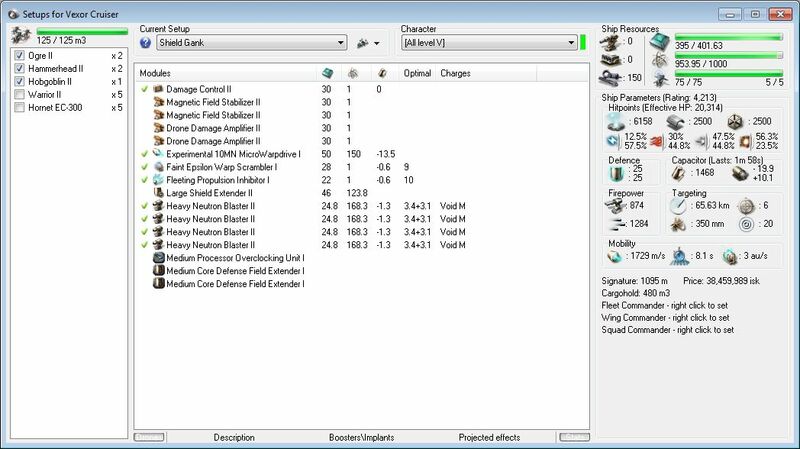 It also gets a tracking bonus which should give it better damage application up close, particularly when fighting smaller ships. Once it's in range, the armour Thorax isn't actually any stronger than it used to be aside from the extra mid slot and tracking bonus - it has good damage output (but not as good as the Vexor or Moa) and a decent tank. The real advantage isn't its ability to brawl against other brawlers, but its ability to chase down things which really don't want to be brawling. With that in mind, the shield Thorax looks very appealing. The extra mid slot means either more tank (a nice improvement) or a web (also a nice improvement), while the extra speed here is really noticeable - with no speed mods it should already do about 2km/s with a MWD. It's fairly fragile, but puts out better damage than anything here except for the shield Vexor (although since it doesn't need to worry about drones, it should be much more free to move around the battlefield). I expect it to be a very fun ship to fly. Caracal - The Caracal's weakness used to be damage output, largely due to its small number of low slots. With two extra low slots (and the CPU to use them), the new Caracal has received a very significant buff. The substantial amount of powergrid that it gained definitely won't have hurt either. Anti-frigate setups with rapid light missile launchers will just see a straight damage increase, although I expect you'll see fewer of them. Heavy missile Caracals gain a smaller amount of damage and lose some range (they still hit out to 90km, don't worry), but are substantially faster than before (over 2km/s with a nano) and easier to fit with a decent tank. Perhaps the biggest change however is the introduction of the HAM Caracal, practically impossible before due to fitting difficulties. This thing puts out around 400dps to 30km, and still does about 1.9km/s making it an excellent mid ranged kiter with the ability to brawl if necessary. It's fragile for a brawler, but has decent EHP for a kiter. The buff to HAMs (they're now affected by the Guided Missile Precision skill) also makes this kind of fit much more viable against smaller targets than it has been in the past. Omen - The old Omen was notoriously hard to fit, and a substantial powergrid buff neatly solves that problem. It also got more speed and some extra damage in the form of a bigger drone bay, plus an extra low slot for more damage, range, or speed. The Omen is still fragile, and you probably won't see one rocking a 1600mm plate - a lighter armour tank (with dps rigs) or a shield tank will probably be common, both of which facilitate it's already impressive speed. Armour Omens should do about 1.8km/s, with shield variants (fitted with a couple of speed mods) in the region of 2.3km/s. Like the Stabber, the Omen will probably make a much better kiter than it will a brawler - a strong damage output and the natural range of pulse lasers with scorch give it excellent projection, and its speed is more than up to the challenge. Stabber - Arguably the ship that inspired the whole attack cruiser line, the Stabber's weakness was probably its lack of slots in general - it didn't have the mid slots for a proper shield tank, nor did it have the low slots to really enhance its damage output. The new Stabber receives one more of each, which alleviates both problems. Before you get excited though, let me be frank - the Stabber still has the lowest damage output of the attack (and combat) cruisers and doesn't have much of a tank either. However, you now have the ability to really fit it for a purpose - if you want pure speed you can get it, if you want damage projection you can do that too. Speaking of damage projection, the new Stabber comes complete with a falloff bonus, allowing it to play the role of baby Vagabond that bit more effectively. The Stabber also retains its speed (now built into the hull instead of a bonus), able to reach around 2.4km/s without speed mods or faster with them. All in all, it's a clear improvement over its predecessor although it has a strong challenger in the form of the Omen. Bellicose - With the Bellicose CCP set out to create a combat/EWAR hybrid, and I have to be honest - it really worked! Switching from the split weapon system to pure missiles means you can now squeeze some really impressive damage out of this ship. In fact, it's almost identical to the Caracal in that regard (one less launcher, but able to field a much larger flight of drones). It also tanks about the same as the Caracal, meaning the only real disadvantage over its Caldari counterpart is the lack of its range bonus. In place of that, the Bellicose gets more speed (2km/s unmodified) and its target painting bonus, which - would you look at that - works really well for a ship that uses HAMs or HMLs as its primary weapon system. Rather than bringing a dedicated target painting ship, Bellicose pilots can now offer a strong damage dealer in its own right that just happens to bring some target painters while it's at it - much more valuable for most fleets. Arbitrator - The Arbitrator hasn't really changed much, which is fairly unsurprising since it was already widely regarded as the best Amarr cruiser. An extra low slot lets it enhance its drone damage output a little without sacrificing tank (putting it in a similar ballpark to the Maller's turret damage), and an increase to its tracking disruption bonus plus a bit of extra speed makes it that bit more effective. The Arbitrator was really the template for the combat/EWAR hybrid, with strong drone damage combined with the low slots and powergrid for an impressive armour tank. Don't expect it to change much, but do expect it to still be used heavily - perhaps a little less solo now that the Maller and Omen are more viable, but the increased TD bonus should make it even more valuable as a gang ship. Celestis - The Celestis follows a different track to the two ships above, focusing instead on the dedicated EWAR role that was previously only filled by the Blackbird. In exchange for the old hybrid damage bonus and one of its high slots, the new Celestis gets a larger strength bonus alongside a damp optimal (and falloff) range bonus - this gives it a range of about 80+135km and damps that are about 60% effective with perfect skills. That means a single damp would cut a ship with 100km range down to 40km, and two would put it to 18km. With five mids, the Celestis can carry four of them plus a MWD. Crucially, the operating range of the Celestis is just slightly longer than the Blackbird and comfortably more than any other ECM ship with the exception of the Scorpion (almost as if it was designed to counter ECM - hint, it almost definitely was). In addition to its improved EWAR capability, an extra two low slots let the Celestis fit the same beefy tank that you'd find on an Arbitrator. It also gets an increase in drone bandwidth to 50mbit/s, although these will likely be used more for tackler defence than as a primary weapon system. That said, the anti-frigate Celestis is getting no less effective (in fact it's becoming more so thanks to the two extra low slots) - expect them. Blackbird - The EWAR cruiser by which the others are measures, the Blackbird hasn't changed substantially - it got an extra low slot and a couple of drones, but otherwise little change. What has changed is ECM itself - it got a range nerf, and the new sensor strength skills gave it a strength nerf too. With an extra distortion amp in its new low slot, the new Blackbird just about breaks even on range with its predecessor, but loses some jam strength against a well skilled pilot. Still, the range of the Blackbird compared to other EWAR ships is incredibly valuable, and it remains able to operate at similar ranges to the Celestis (which is convenient for Celestis pilots everywhere, but being able to out-range everything other than its hard counter is still a point in the Blackbird's favour). One interesting thing I noticed is that the 1600mm plate Blackbird (which just fits without a fitting mod if you leave the high slots empty) now requires a 1% PG implant. No, it hasn't had its powergrid nerfed - the 1 PG required to fit a second distortion amp pushes it over the line! Scythe - The new Scythe performs in a very similar way to the Scimitar (I'll point it out now - a pattern is going to emerge here). It's has similar speed, and like the Scimmy it seems naturally built for kiting with a MWD. The Scythe's bonused medium reps aren't quite as powerful as the large reps on the Scimmy (which don't actually get a strength bonus) - about 93dps on unmodified T1 resists, compared to 113dps from its T2 counterpart. It also doesn't have the Scimmy's T2 resists, meaning Scythe pilots will need to be a little more careful when under fire. Aside from those two points however, the Scythe's performance is almost identical (even down to the drone repair bonus, although unlike the Scimitar this one is extended to armour bots too). I expect this one will be a popular choice for roaming gangs, and may replace MWD Scimmys where people want to keep things fairly cheap. AB Scythes will generally underperform compared to AB Scimmys given that the Scimitar can fit a fourth rep (most MWD fits don't). Osprey - The new Osprey is much like the... you guessed it, the Basilisk. Like the Basi it gets a bonus to energy transfers, and is built to cap chain with other logis. The performance gap compared to its T2 cousin is more noticeable here, since the Basi is generally well tanked and the Osprey falls a little short without the same resists (although not by a huge margin). The Osprey's can fit a fourth rep to edge ahead of the Scythe in rep power, but it requires good skills to do so (it doesn't get the Scythe's drone repair bonus, but it can be difficult to make use of that anyway). The fact that the Basilisk runs four by default and can run five with good skills again keeps the gap to its T2 counterpart bigger than it is for the Scythe against the Scimitar, although the Osprey still performs very strongly in its own right. Augoror - The Augoror performs pretty much like the Oneiros. Ok fine, it doesn't - it's obviously like the Guardian. The same arguments apply as to the Osprey above, but more so - unlike the Guardian it can't really fit a 1600mm plate*, which means the gap in effective HP is much more noticeable than on the Osprey (not to mention that the Guardian gets the best T2 resist profile of the lot). However, the repping power of the Augoror remains strong - like the Osprey is can either go for three reps and two transfers (which runs easily) or four reps and one transfer (which requires much better skills, but gives it stronger repping ability than the Exequror albeit without the drone bonus). It doesn't match the reps of the Guardian, but then the role that the Guardian fills (often sitting in the middle of the furball and just tanking like a champ) was always going to be a hard one for a T1 ship to fill. All that said, the Augoror has one advantage that its T2 counterpart lacks - it has three mid slots, which means double ECCM! Exequror - Like the Oneiros, the Exequror is a faster alternative perfect for high speed armour gangs, and it will generally be MWD fit to take advantage of that (although some people might AB fit them and fly them like an Augoror if they're just Gallente specced - it works fine that way too). You can either fit the Exequror for cap regen (which is probably more newbie-friendly) or cap boosting (which is probably more effective on the whole, since it lets it mount a much better tank). The Exequror's speed is really nice - about 1.7km/s, which is noticeably faster than the Oneiros. It reps almost as much too, since most Oneiroses only use three reps (and like the Scythe, it gets a bonus to drone repair much like its T2 counterpart). Like the Augoror, the main weakness of this ship compared to its upgrade is its tank - substantially weaker than the Oneiros' thanks to a smaller plate and the lack of T2 resists. Still, it's far from fragile and the extra speed gives it a unique selling point - could be an interesting one. * It was pointed out in the comments that the Augoror can fit a 1600mm plate, but the problem is you need a bunch of fitting mods to do it. Since those replace armour hardeners or resist rigs, you end up with similar EHP to the 800mm version but lower resists (bad for a logi) as well as less speed and repping power. Not really worth it. These ships got new bonuses to exploration modules (hackers, salvagers, etc) as well as fairly decent drone bays for clearing out any NPCs that they might encounter. While it would be easy to dismiss them as non-combat ships, their generally large number of mid slots combined with their non-threatening nature make them surprisingly dangerous. The Heron tops the list in that regard - with five mid slots it can mount the deadly combo that makes the combat Helios so powerful - AB, scram, dual web and TD. Rockets and a single gun along with its three light drones give the Heron a respectable damage output too, so beware of that one. The Probe and Imicus are similar but only get four mid slots, meaning more damage but less control (the Imicus also loses two of its high slot weapons for an extra drone). The Magnate comes in with only three mid slots, which makes its combat utility more limited (although you cans till squeeze some decent damage out of it). I don't expect these to be common PVP ships, but they could be fun in the right hands. I have no idea how good it is at mining, so I won't pretend that I do. I've heard that it's decent, which sounds good enough for me. The +2 warp core strength bonus on this ship led some people to believe this would become some kind of ultimate tackler, but I'm afraid that's unlikely - it's very fragile, so even if you wanted to warp your cheap T1 frigate out after tackling someone, it's unlikely that you'd succeed. It does however seem to fulfil its design specs for being able to mine in hostile space - it'll go down quickly when shot at, but the ability to slip tackle should mean that those miners who just don't make it out before you point them now do. The fast align time of this ship should help too (fast for a miner that is, not fast for a frigate - it's still slower to align than most combat frigs). From the little that I know about mining, it looks good! Haven't been able to play EVE in awhile, but I still read all your stuff. You do a great job and I feel like a won't be a step behind when I start up again thanks to you. Combat cruisers not frigs(under stabber), PG not CPU(under blackbird). Good article though enjoyed it. Bah, this is what happens when I try to write fast! Of course, even the 'fast' version took me most of the evening. "The Augoror performs pretty much like the Oneiros. Ok fine, it doesn't - it's obviously like the Guardian." It maybe because I'm tired, but I burst out laughing after reading this. Great article, like everything else on this blog. New logistics cruisers look interesting with 2x large reps fitted - range up to 90km and more rep than 3x med, needs fitting mods and sensor booster though. I feel like minmatar did not come out of this patch as a winner. The rupture is mediocre compared to all other races now. I mean 350-400 dps with MAX skills when the vexor is pushing 900 and an average tank to boot? The omen is just better than the stabber in about every way. Oh and of course they had to knock off 200+ PG from the hurricane just for fun. The bellicose looks interesting but if you compare target painting to the EWAR bonuses like weapon disruption, sensor dampening and jamming its pretty clear that the minmatar got the worst of it. You're absolutely right - it's the same thing that happened with the Rifter/Jaguar etc, and I expect that trend to continue. Honestly, it's not surprising. Minmatar have been the strongest race for sub-BS PVP for the last two or three years, so they're naturally going to get knocked down a peg. Expect the future of Minmatar ships to be 'fast and flexible, but mediocre damage and tank'. I hope you are right, Azual. It would be nice to see Amarr holding the top position for a change. Great article again! Man you write fast :) Thx again. I really appreciate your articles. I look forward to playing with the new Omen and Maller. I didn't have any trouble fitting a 1600mm plate on the augoror. Just need 3x acr, and the t2 plate fits with 3x meta 4 medium reps, a meta 4 energy transfer, and a t2 small rep. Something like 30k ehp. It's not impossible to fit one, but the fitting mods mean that it basically isn't worth it. Because you're giving up all three rig slots for ACRs (compared to the 800mm version which can fit two or three armour rigs) you actually get about the same EHP. Except now you're slower, have lower resists, and can't rep as much. CCP nerfed mah t2 cruisers! Halp! Halp! It might be worth to notice that the Venture bein the only ship in EVE ever to recive a Gas-Mining-Bonus. It also has enough CPU to have 2 Gas-Miners, 3 ECCM and a T2-Cloak Fitted. Combined with the 5.000m³ of Orehold and a Nano in its lows, we have a very capable and cheap ship for WH-Work. BTW, I was wondering about your thoughts regarding T1 vs meta vs T2 modules. Most fits seem to favor T2 modules, with high metas only used when (a) the meta happens to be better than the T2, or (b) due to ship fitting limitations, or (c) lack of SP to fit T2. This makes complete sense. But, I never see any reason to fit T1 modules, when the low metas are superior in all ways, except for the few modules that don't have metas. Some people told me that the difference was supply & cost, but I don't see this reflected on the market. Do you ever fit T1 modules? And, if so, why? No, there's really no reason to fit plain T1 modules other than to save money when the meta modules are more expensive (which they are for some modules - see for example shield boost amplifiers). If the meta modules are cheaper or a similar price, then T1 really holds no advantage. T1 modules are sometimes more easily available. If you are "far out there" (or more likely in w-space), you can very easily make them yourself. T1 production is trivial. You cannot produce the meta-modules, you'll have to import them from a trade-hub, which is sometimes not possible or worth it. Have you seen any dual prop thorax fits around yet? I'm sure it's possible but haven't found something acceptable myself yet. No, I haven't seen anyone using one yet. Grid is a little tight on armour Thoraxes anyway, so that's probably why. I've yet to fly them myself, so reserving judgement for now as to whether it's worth it or not. I was raging when I realised that the Omen could do pretty much everything a Stabber can do, except they do it with more DPS. Then I remember that the Stabber has FOUR MED SLOTS. Hmmm, possibilities. What can I do with the fourth med slot other than another LSE, eh? I'm confused why some fits say to use Reinforced Rolled Tungsten Plates I and others say to use Reinforced Steel Plates II. Aren't the Tech 2 plates always better? Not always. Yeah, they give better HP now, but they also need more gird and CPU to fit. Also, the add more mass, thus cut your speed and agility harder than reinforced rolled thungsten, what can make a difference sometimes. Most of the time T2 is OK if you have the recources to fit it, but if T2 would need a fiting-mod that rolled thungsten won't need: go with rolled, except you miss as little as 1-2% gird/CPU that can be helped with an cheap implant... oh, well, you see, ther's much pro and con to both of those plates. Think about your fits and choose what matches best. What about the other plates? Nanofiber, Crystalline, and Titanium. I never see these plates used in any fit. There's not much reason to use any of them other than cost - RRT has the best HP (other than T2) and the lowest mass penalty, with the same powergrid requirement as all the other meta plates. Nanofiber/titanium have marginally lower CPU, but unless your fit is really tight they're probably not worth it. The main reason people still use tungsten is habit. They were far better than the T2 plates for so long that it's just ingrained. I've noticed that the penalties of T2 plates outweigh the slight HP advantage. In a real fight, the mass penalty plus the CPU/grid compromises in a T2 plate fit usually results in your ship taking more damage than with a comparable RTT plate fit. The only time I fit a T2 plate is when I have extra speed/CPU/grid to spare (which isn't very often). 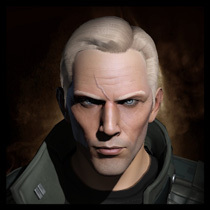 The Altruist is the Eve Online blog of Azual Skoll, PVP instructor and small gang PVPer. All original content on this blog is licensed under a Creative Commons Attribution-NonCommercial-ShareAlike 3.0 Unported License. Click the icon below for more information. Azual Skoll is the Eve alter-ego of Tom Foskett - retired small gang and solo PVPer, Eve blogger, and (allegedly) all round nice guy. His track record includes a long tenure as the Director of Agony Unleashed's PVP University, as well time flying with Eve University, The Tuskers, and Red vs Blue. Why Are VPNs In Fashion Today? Mothership down!!!! The Battle of UTKS-5. EVE Online and the EVE logo are the registered trademarks of CCP hf. All rights are reserved worldwide. All other trademarks are the property of their respective owners. EVE Online, the EVE logo, EVE and all associated logos and designs are the intellectual property of CCP hf. All artwork, screenshots, characters, vehicles, storylines, world facts or other recognizable features of the intellectual property relating to these trademarks are likewise the intellectual property of CCP hf. CCP hf. has granted permission to The Altruist to use EVE Online and all associated logos and designs for promotional and information purposes on its website but does not endorse, and is not in any way affiliated with, The Altruist. CCP is in no way responsible for the content on or functioning of this website, nor can it be liable for any damage arising from the use of this website.